Game Of Thrones Collectibles From Dark Horse! GAME OF THRONES® COLLECTIBLES LINE! 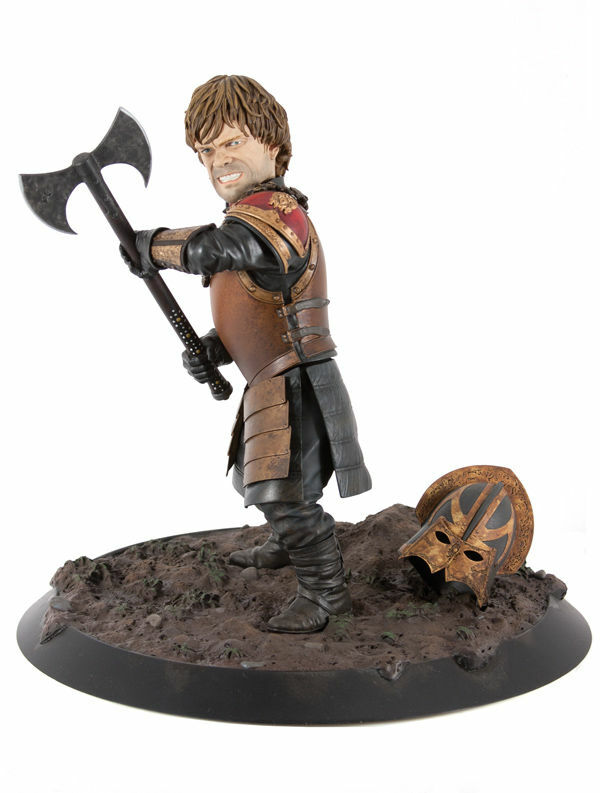 This detailed figure measures approximately 10 inches in height and 9.5 inches across its base, which features Tyrion’s cast-aside helmet and other painstakingly re-created details. Hand painted and numbered, the Game of Thrones Tyrion statue will come packaged in a deluxe full-color box. Fans of the series can view a “Making of the Tyrion Lannister statue” video on the Dark Horse Blog.